Since its publication a short time ago, HeatherAsh Amara�s Warrior Goddess Training has become much more than just a book�its ten lessons have inspired thousands of women around the world to reclaim their power, their passion, and their freedom. In this much anticipated follow-up, The Warrior Goddess Way, Amara goes deeper, revealing three additional pillars of Warrior Goddess living that readers can apply to travel further down this sacred path: Wisdom, Authenticity, and Yes! � Wisdom arises naturally when we learn to listen. Not to the voices in our head, but the voices in our cells, our natural discernment, and our creative knowing. In exploring these three pillars, Amara delves into topics such as forgiveness, relationships, and finding your inner stillness. You will learn the art of maintaining emotional balance, cultivating self-respect, practicing heartfelt communication, and the power of consciously embracing life�s beginnings and endings. 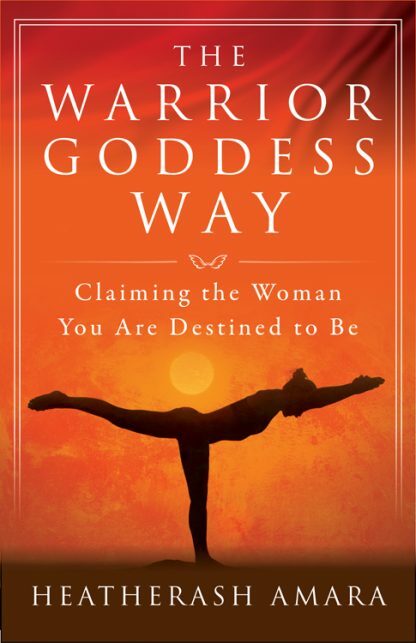 Like Warrior Goddess Training, this book is packed full of exercises and explorations designed to help you integrate the Warrior Goddess Way into your everyday life.